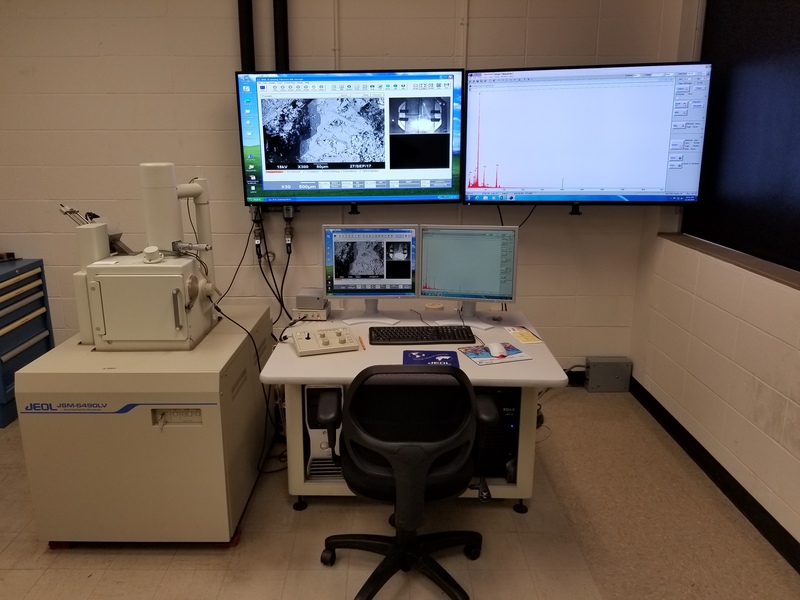 Installed in 2008, our JEOL 6490LV SEM has an SE, BSE, and an EDAX Genesis EDS detector. The SEM can operate in high- or low-vacuum modes. Only BSE and X-ray (EDS) signals can be detected in low-vacuum mode. The BSE detector can be used in composition, topographic, or shadow modes (by subtracting or adding signals from the different BSE diodes). Topographic and shadow modes are similar to SE images. In high-vacuum mode, BSE and SE images can be displayed simultaneously or mixed. Magnifications from approximately 50x to 300,000x are achievable in secondary electron (SE) or backscattered electron imaging mode. The EDS detector can be used to create qualitative and semi-quantitative elemental analysis of materials, X-ray maps, and X-ray line-scans. Because the SEM can operate in high- or low-vacuum modes, a conductive coating is not required for insulating samples. However, conductive samples (or those with a conductive coating) are preferable for optimal image acquisition and chemical analysis. Carbon coating is available in the DGS Electron Microbeam Laboratory. Samples must be dry (water is the main concern, but some oil-saturated samples might also be unsuitable, for example). Typical samples are thin sections and materials < 1-cm diameter. 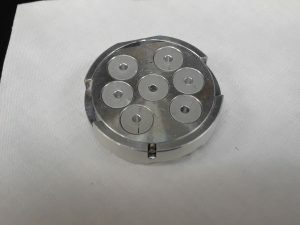 Four 1-cm diameter samples can be loaded into the SEM simultaneously. Somewhat larger samples, up to a 5 cm in diameter, can also be used. Large samples pose the possibility of colliding with the detectors. The stage can be tilted up to 55° from horizontal. 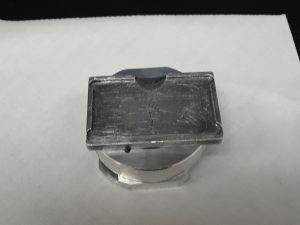 Stage/Holder for standard SEM stubs. 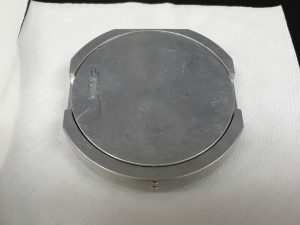 Can accommodate four 1″ or seven 0.25″ SEM stub mounts. All users should fill out the ‘Request to use the EPMA,ESEM,SEM‘ form. The purpose of the form is to communicate the goals of the project to the lab manager and lab assistant. The form also serves as an agreement between the user, advisor/account holder (if applicable), and the lab manager. Any questions regarding the form should be directed to the lab manager. New! We are searching for a Research Associate http://tinyurl.com/y6fuu2wu. Review of applications will commence on April 2, 2019; however, applications will be accepted until the position is filled. The desired target date for the new research associate to assume duties is July 1, 2019, although this time frame is flexible.